The trip unit is the brains of the circuit breaker. The function of the trip unit is to trip the operating mechanism in the event of a short circuit or a prolonged overload of current. 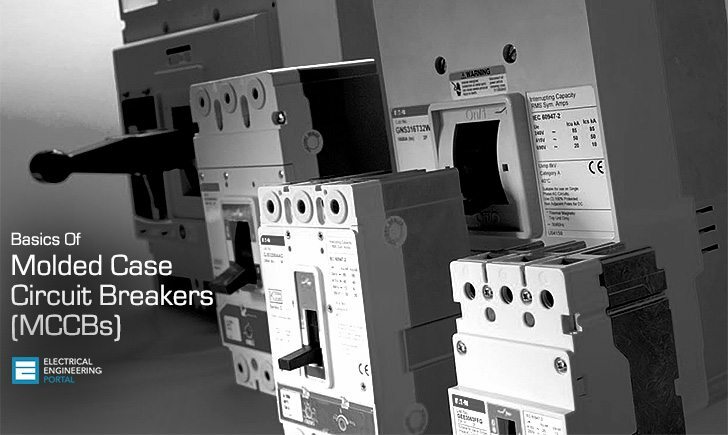 Traditional molded case circuit breakers use electromechanical (thermal magnetic) trip units. Protection is provided by combining a temperature sensitive device with a current sensitive electromagnetic device, both of which act mechanically on the trip mechanism. Electronic trip units are now available and they can provide much more sophisticated protection and monitoring. 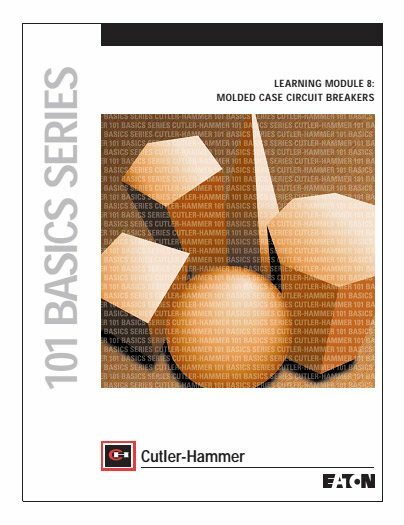 Most molded case circuit breakers utilize one or more different trip elements to provide circuit protection for different applications. These trip elements protect against thermal overloads, short circuits and arcing ground faults. Conventional MCCBs are available with either a fixed or interchangeable electromechanical trip unit. If a new trip rating is required for a fixed trip breaker, the entire breaker must be replaced. With an interchangeable trip unit, as its name implies, only the trip unit needs to be changed, up to the maximum current rating of the breaker frame. Interchangeable trip units are also called rating plugs. Some breakers offer interchangeability between electromechanical and electronic trip units within the same frame. To provide short circuit protection, electromechanical trip circuit breakers have adjustable magnetic elements. To provide overload protection, electromechanical trip circuit breakers contain thermal trip elements. Breakers using the combination of magnetic elements and thermal elements are often called thermal magnetic breakers. Increasingly, molded case circuit breakers with conventional thermal magnetic trip units are being replaced by breakers with electronic trip units. These units provide increased accuracy and repeatability. 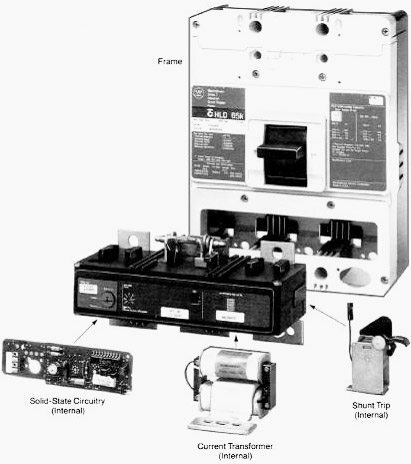 Some units have built-in ground fault protection, removing the need for separate ground fault relays and shunt trips. Some units can also provide system monitoring, data gathering and communication to energy management systems. A current transformer (sensor) is used on each phase to monitor the current. It also reduces the current to the proper level for input to a printed circuit board. Electronic circuitry (printed circuit board) that interprets the input and makes a decision based on predetermined values. A decision to trip results in sending an output to the next component. A low power flux-transfer internal shunt trip that trips the breaker. This is typically a mechanical, spring loaded device held in place by a permanent magnet. When a tripping signal is received from the electronic circuitry, the effects of the permanent magnet are momentarily counteracted by the tripping pulse, allowing the mechanical tripping action to take place. There is no need for an external source of tripping power, since the entire tripping system has very low power requirements.